The Nightingales Code appeared in 2001. Follow the link for extracts, etc. The Inkjet Books, launched in 2002, now number a couple of dozen titles. Among them are several illuminated pamphlets  for instance The Improvised Version  illustrated by the poet, and two of visual poetry  Picture Word Book and Underscore. 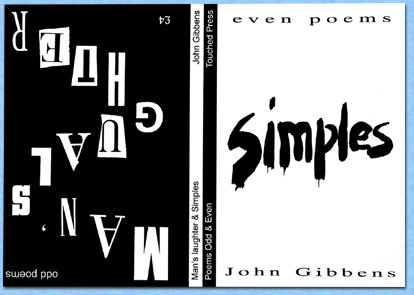 Mans Laughter / Simples was the first item to wear the Touched Press tipi colophon. A Prontaprint-produced bifarious booklet published in 1999, a few copies still survive. 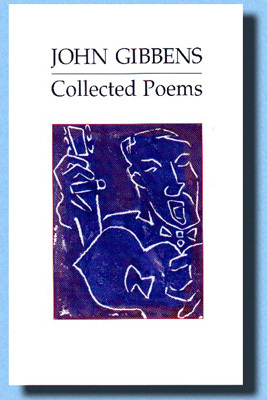 Collected Poems (2000) was the second Touched book, and first to get an ISBN. 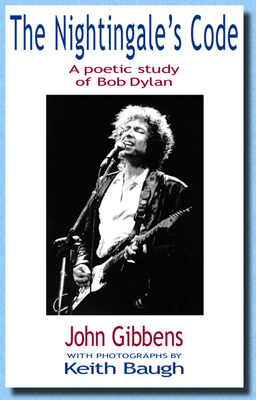 An unslim volume now out of print, some remaining copies are also available here. Follow the link for sample poems.